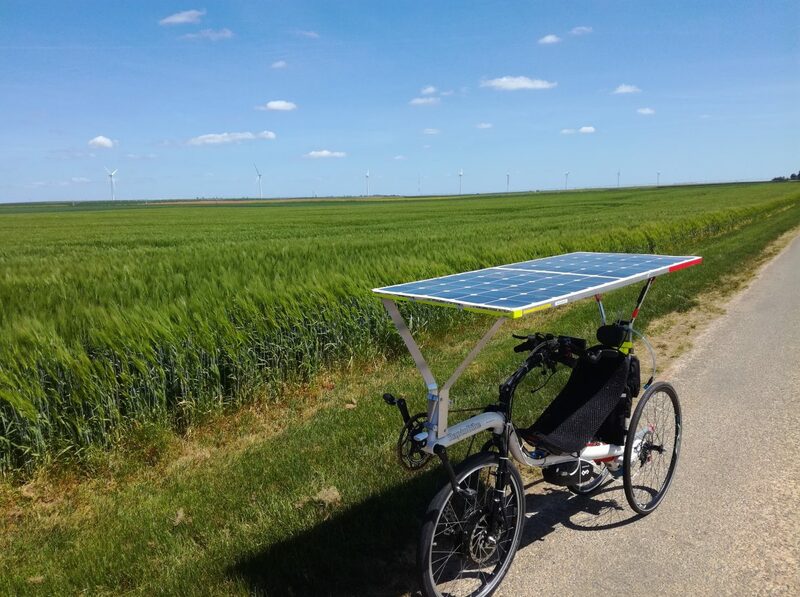 200+ km with my Solar Tilting Trike! 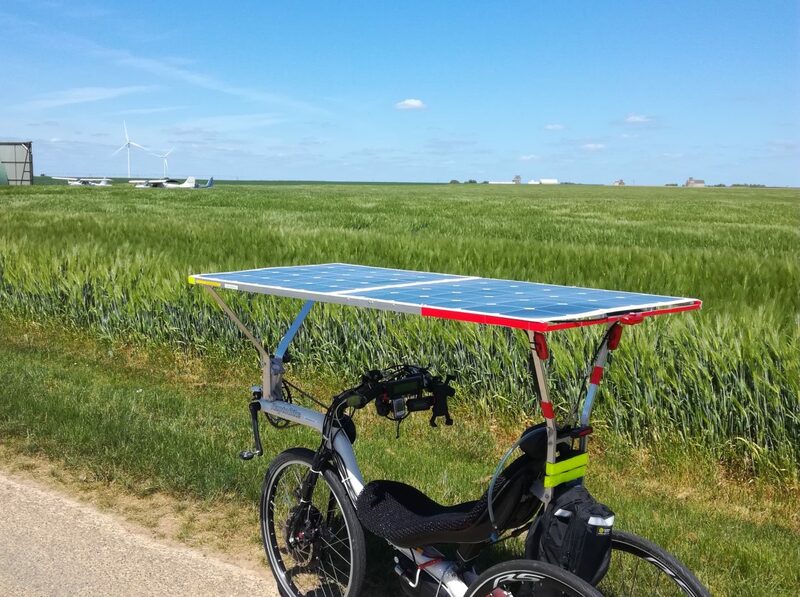 I wanted to check the behaviour of the bike on a long trip on the same day: for this reason I decided to choose an itinerary of at least 200km. 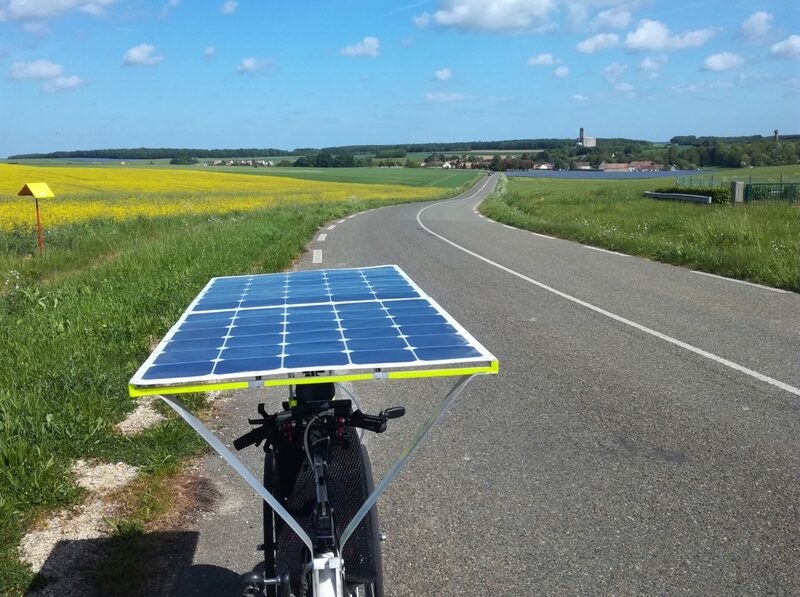 The destination I have chosen is roughly 30km in the south of Chartres. The weather was good but with a constant wind from the south: it’s always better to have the wind blowing from behind you when you go back…. Here I stopped close to a small airport in the middle of nowhere, where I met very nice people asking for a lot of questions on my bike! No wonder why here there were so many wind mills, replaced today by wind turbines!